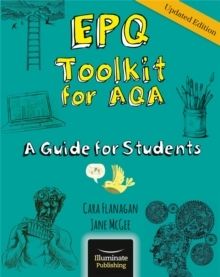 Updated to reflect the very latest assessment requirements and terminology, the EPQ Toolkit for AQA is a highly practical, colourful, magazine-style guide that provides support, advice and guidance for carrying out your independent extended project work. It will support you through your whole EPQ journey, from helping you to choose your project to planning, developing and executing both the production log and the final product. Numerous exemplars of student projects help illustrate good and bad practice helping you to improve your final mark. An EPQ Moderator provides invaluable hints, tips and advice throughout giving you the confidence you need to work independently and succeed with your project.